9 sliders, 1 -patio door. $5,900.00 installed. What can I say. Awesome price, made locally and glass too. Compared to other vinyl windows Wallside wins for price, performance and warranty. Windows are very drafty. Cold air coming in through the glass. On the sliding door cold in coming in through track. Bottom frames of windows are very drafty. If I put my hand on the bottom frame, it feels as though I am standing outside and I am inside. My guess is there is not enough insulation there. On very cold days ice forms on the glass at the bottom of the window. Wallside service person came out and gave me so stupid story about hot air from the inside of the house hitting the cold wind, etc. 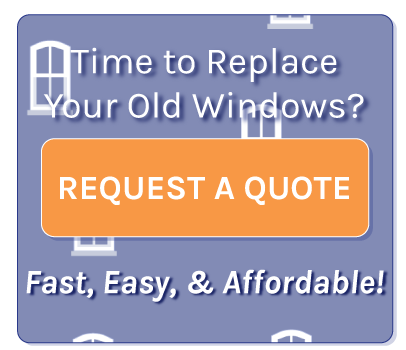 We purchased replacement vinyl windows for 2 rental units 6 years ago. A total of 8 dbl hung, 1 picture window, and 1 slider per unit. There have been at least 3 different tenants in each townhouse and have had only one complaint. One tenant experienced condensation between the panes on a picture window within a couple months of installation. We contacted Wallside and it was replaced, with no hassle, within a few weeks at no charge for either the window or labor. This particular tenant did keep an additional humidifier in the townhouse and there was a lot of humidity which may have contributed. The windows are easy to clean and they look nice. I know nothing about balance so unable to accurately rate that area. We have been pleased with the windows and purchased 10 additional windows in 2005, and again 10 more this spring for two additional units. We have had three different teams of installers. Some better than others. One group was rather careless when knocking out the old ones which resulted in a few small cracks in the plaster; others were more careful. They basically did a nice job and cleaned up after themselves when done. I would suggest getting quotes from a couple companies. Wallside will normally be slightly lower; however, without comparison prices.....it is hard to know if their specials are really special. When they say 50% off, one needs to know what their full price is.....or at least what the going full price rate is for comparable windows at other companies.........then talk price. Basically, I think they give good value. windows are great, but something needs to done with the locking of them.Top window does not stay in place when locking,and I'am 5(five)foot tall and can not push top window up so as to lock. This needs to be addressed for shorter home owners who like the top and bottom windows to open. Drafty big time. My curtains actually move in the winter. They come out and shove foam pieces in the cracks which are just are dust collectors, never fixed them. Condensate on windows which form mold and mildew between the vinyl and window, no way to clean it off and there is nothing they will do about it. They say they need to take the windows off to clean it but they wont do it. They look good though. If I had to do it over again I'd spend the extra money and get some good windows. Their warranty does not get honored unless it's a simple fix. Wallside installed four 3 lite casement windows @$5000+ four years ago. These windows face south so they get lots of sunlight. I now have windows that condense moisture on outside, entire window, from spring until late fall, on humid mornings. Wallside says this is characteristic of the window type. I say that's BS. They claim the gas inside causes moisture to condense, similiar to a chilled glass of water on a humid day. I asked to have them replaced by another company, no charge to them, other than refund of original purchase. They adamantly declined. Most morning we cannot see outside. I see why they use the name Wallside, cause it's like looking through a wall. I have plenty of pics, e-mail me bakovac@yahoo.com and I will forward you some. I think if this is characteristic, Wallside should have to disclose this info prior to sale. Do not give them a nickle! Salesman, installers & phone support were awesome. Windows were installed two days ago, and already having issues. Screens will be in the garbage after taking them out once to clean (held in with felt). Price was good, but, you get what you pay for. Wish I would have done my homework & spent more for a higher quality windows; that would last. Thumbs down on the quality of the windows & screens. These windows are horrible and the company has ridiculous stories for the problems. I live out in the country and complained about them leaking air. Their response: because of all the open fields around me, the Windows can't stop that kind of air. They leaked around air around the safety latches that keep the window from opening all the way. I popped them out myself and put plastic around them,put back in, seemed to help a little. They leak air in the corners where the top and bottom windows meet no matter how much rope caulk I put there there. Their answer for all this air movement- those stupid t-blocks to "slow down" the air. It did absolutely nothing but cause the Windows to leak water into the house when it rained because it interfered with the flow of water. The last 2 year's have been extremely cold winters with terrible wind. The air blew in all around where the window meets the frames like the window was open. I actually put plastic on my windows last year. Plastic on new windows? No one should HAVE to do that. I have had service out many times but nothing gets resolved. Yes, they will come as often as you want but with bandaid fixes and lame excuses, I gave up. Lesson learned. I'm not sure how this company is still going with such poor quality. The money they spent to make the actual glass not transfer heat and cold was a waste if the frame they put it in is worthless. I wish I could get my $4200 back and put towards quality made windows. Way over priced considering the money you will spend heating your house. Had 21 double hung windows, 2 picture windows, 1 door wall installed. All leak air worse than the old wood windows that they replaced. After numerous complaints, excuses and conversation with one of the owners "Steve" a Wallside Engineer arrived letting me know that he was my last hope. His reasoning was that my house was out in the open and therefore it was expected to have some leakage. The salesman that came out in January never once told me that replacing the windows would not solve air leaks. The final solution was to stuff rubber sponges in the weep holes outside, which had no affect on the air leakage. Have pretty much had all panes replaced for moisture build up between glass. Have had both balance mechanisms on all windows replaced due to breakage. Have had track replaced in door wall replaced due to seizing so bad that handle broke off. Will never buy Wallside again and have gone out of my way to make sure that everyone I know understands what pieces of junk they are. Obtained proposals from Hanson's, Magic, Pella and Wallside. Selected Wallside after having demonstrations from all contractors. Best product, pricing and installation from Wallside. No silly sales presentation from Scott with their Sales Department, just great service.